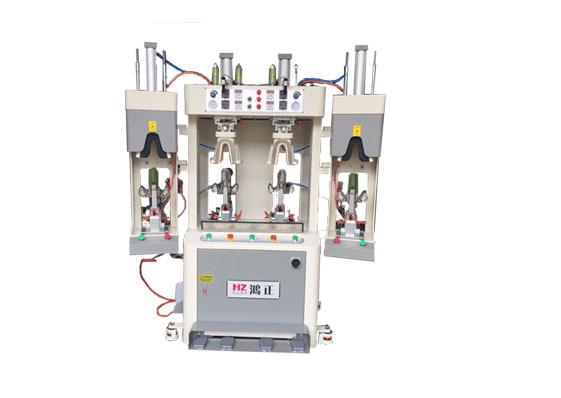 Hot and cold heel setting machine, suitable for setting of hot melt adhesive and hot melt after the sleeve, specially developed for the latest requirements of customers, features saving space, easy operation. The high - speed joint liner can be replaced quickly. The liner press presses the tree directly. Molds tend to be run by operators. Mold column can be moved. Movable sweep knife brings perfect shape to the vamp of female boots. Panel with electronic display microprocessing system.